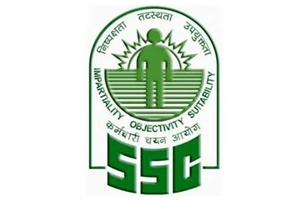 SSC Recruitment 2018: Staff Selection Commission has invited online application from eligible candidates with Nationality/Citizenship as indicated under Para-6 of this Notice, for the Selection Posts indicated in Annexure-I of this Notice. Essential Qualifications (EQs) & Age Limit for each Post as per the requirement of the concerned User Departments/ Ministries, are mentioned in the details/ description of Post(s) given in Annexure-I of this Notice (or) Notification below. Women candidates and candidates belonging to Scheduled Castes (SC), Scheduled Tribes (ST), Persons with Disabilities (PwD) and Ex-Servicemen (ExS) eligible for reservation, are exempted from paying application fee. All the candidates whose online Applications are in order will be called for written examination in Computer Based Mode. (ii) CANDIDATE MAY NOTE THAT ONLY ONLINE APPLICATIONS WILL BE ACCEPTED AT www.ssconline.nic.i n or www.ssc.nic.in>Notices>Others Applications received through any other mode would be summarily rejected. (v) MOST IMPORTANT:- After successful submission of online Application Form, candidates must take a print out of the Application Form for submitting the same along with requisite documents when called for by the Commission after the conduct of Computer Based Examination. (vi) The information furnished by the candidates in their applications will be verified by the Commission with reference to the original documents after the Computer Based Mode Examination. During verification of documents, if it is found that any information furnished by the candidate in the application is wrong, his/ her candidature will be rejected forthwith. The candidates should ensure that they have furnished correct information in the application form. see more details in notification.